LONGEST LIFE LED: Our Lamp Uses A LED Bulb That Will Last For 25 Years Under Normal Use. UL Certified Power Adapter. Power Consumption At 14W. Rated At 14W. 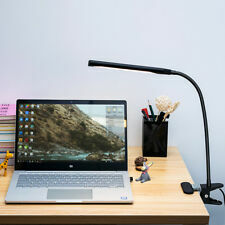 "I am impressed for the quality of this LED Desk Lamp. The New lighting technology simulates outdoor sunlight, which is balanced across the entire spectrum of color visible to the human eye. Everything seems so much easier to see. This is the clearest, brightest and most comfortable lighting we have found. With touch sensor switch, 3 levels of different brightness. -Mode: 3 kinds of modes 14 kinds of brightness. The real color of the item may be slightly different from the pictures shown on website caused by many factors such as brightness of your monitor and light brightness. Whether for work, study or reading your favorite book the Inateck working desk lamp provides dependable high quality eye friendly lighting. Not only does the working desk lamp illuminate large areas clearly, the light head is also adjustable up to 360 degrees. Shenzhen Kootion Technology, established in 2006, located in shenzhen. Choose Kootion, Choose belief. Flexible gooseneck tube to adjust to any direction. It can also be used as a small torch. 1 x USB Clip-on LED Desk Lamp. Small accent lamp that would be perfect for any room. A downloadable app lets you color your living space with an iPhone and iPad. Once in sync, a touch of the app conjures SKY’s ever-changing hues of light. Play songs from your iPhone and watch colors bounce to the beat of the music! LONGEST LIFE LED: Our Lamp Uses A LED Bulb That Will Last For 25 Years Under Normal Use. UL Certified Power Adapter. Power Consumption At 14W. Rated At 14W. - UPGRADED MODEL: LOW PROFILE RECESSED LEDs. The floor light is easy to operate with a pull-chain switch and has 3 shelves that provide room to display your prized possessions. You may see many similar products from our competitors, but we ensure that our products are ETL certificated. Portable Table Lamp LED Dimmable Desk Lamp Alloy Touch Lamp for Bedroom. 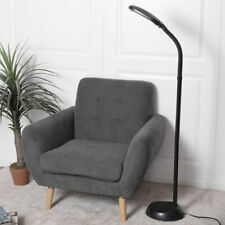 Industrial Standing LED Floor Lamp Task Light. -Flexible Arm Pivots Up & Down: A height-adjustable upper arm lets you direct the light. The Maxwell nestles neatly into corners and also arranges nicely next to your favorite armchair. Floor lamp with 3 shelves for storage/display. Light: E26 (not included). Product Weight: 11lbs. Material: MDF linen. Bring a classic look to your bedside table or desk with the artistic. Enjoy forest trees designs as they are projected onto your bedroom or living space walls! This beautifully crafted lamp features soft lighting with its unique cut-out shade design. 3 Way Desk Light Parts Touch Control Sensor Switch Dimmer Specification: 100% Brand New Material: Plastic Color: Black Size: 4.5cm x 3.5cm x 1.5cm (1.8''x1.4''x0.6'') Wire Length: Approx. 9cm (3.5'') AC: 100-240V 50Hz MAX 150W 3 Levels: low, medium, high, then off Features: Easy install, high quality,CE Approval Note: Connect the wire correct The power of lamp can not exceed 60W The yellow line must connect with conductor, such as metal, can not connect with plastic or wood After install the touch device, dimming or open lamp can not allowed on power cord Fitment:. Subject range: reading, desk lighting, bedside reading, computer lighting, dresser lighting. - No ultraviolet ray. No high frequency radiation. - The LED Lamp can be clamped on the edge of desk, bookshelf, and bedside table etc. This table lamp uses natural soft light and does not hurt the eyes. High color rendering, moderate color temperature, reduced eye fatigue, and care for both eyes. USB interface, it can be connected to computer, power bank, charging plug, etc. Long flexible arm LED light that simply plugs into your laptop or any USB slot. Flexible USB Reading Light. 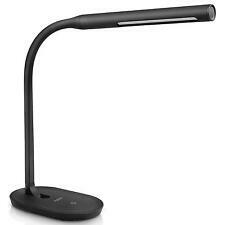 1 x Flexible USB Reading Light. 12.6" / 32cm Flexible arm length. 55" / 140cm USB cord length. Uses Only 4.6 Watts. - Soft Touch Finish. 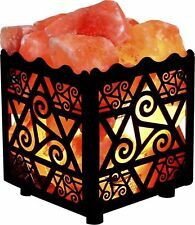 HAITRAL Bedside Table Lamp Fabric Shade Wood Desk Light. 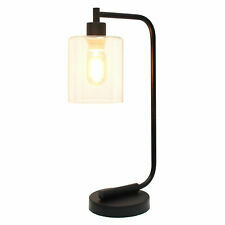 Each small lamp is designed for a modern and elegant look that adds a touch of elegance and stylish to any room. It’s great to be used as bedroom lamp, living room lamp, girls room lamp, nightstand lamp, etc. The ultramodern lamp that's also a brilliant piece of sculpture. Inline switch on a 60" L cord. USB adapter plug. MAKES A GREAT GIFT - Perfect for any cat lover's office desk or bedside table. Cat's head swivels and moves up and down. 32 Colors embroidery thread Sewing Machine Line Thread Fabric Line. Hand Portable Cat Dog Water Bottle Cup Pet Drinking Dispenser Feeder Travel 12OZ. NEX 2-Tier Spice Rack Storage Organizer Spice Bottle Shelf Holder Rack Kitchen. 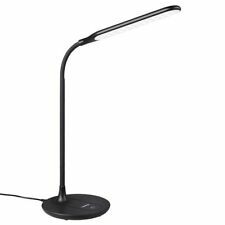 IKEA Jansjo Black LED Desk Lamp 201.696.58 - Many Available!